Meet the Burton Tourist, a new, touring-specific splitboard boot that debuted earlier this week. Built off the design of the iconic Ion, Burton’s team-favorite freeride boot, the Tourist offers a rearward flex for more efficient skinning and a crampon-compatible Vibram sole featuring a heel welt, positioning it as the ultimate all-around splitboard boot for going up and down the mountain. The Burton development team took Ritter’s feedback and ran with it to create an early prototype of the boot that was tested by Burton’s in-house splitboard guru, Dave Downing, and Burton team riders. In the early phases of the boot, they tested a number of features including a more robust walk mode, like what’s available in the Thirty-Two MTB and Deeluxe Spark XVe. Ultimately, they decided against it. Now, how does all of this come together on snow? The answer is remarkably well. 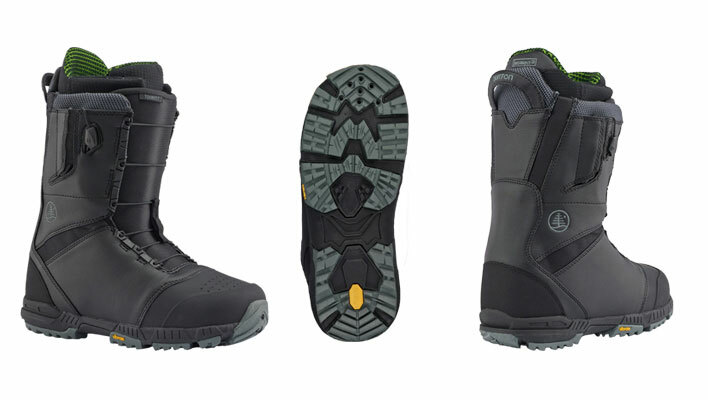 This is the boot for the splitboarder who likes to seek out powder and rides a wide range of conditions. Last spring, I spent 15 days touring in these boots on everything from pow laps through the woods to sun-up-to-sun-down missions above tree line and found they excelled in just about every situation I threw at them. My one hesitation would be taking the Tourists into technical splitboard-mountaineering terrain that demands an ultra-stiff boot. The enhanced negative flex is a feature you don’t realize you need until it’s there—then you can’t leave the trailhead without it. The flex removes the pressure point behind the calf created by traditional boots, making for a more comfortable and fluid ascent. Ultimately, the beauty of this design is apparent once your binding highbacks are engaged in ride mode, negating the negative flex and allowing the boots to charge just like any other Burton would. I’m wondering about the to. How do they compare against Salomon and Nitro in fit around the toe box and cushioning around the ancle?